The Ninja dart is made from high polished nickel silver and has a variety of grips to accommodate the needs of all players. 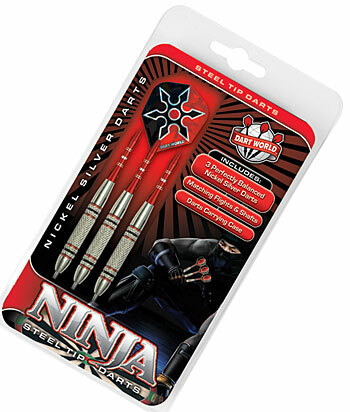 This dart is complemented with Ninja Star flights and matching shafts. Flights & Shafts May Vary!